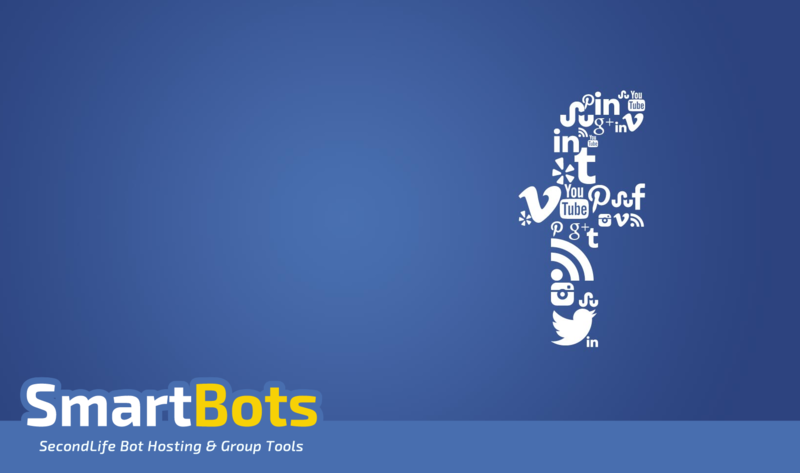 As SmartBots is now on Facebook, we’ve decided to give all of our customers a chance to win L$2000 each week! Every Friday, we will be releasing a raffle post on our Facebook page, simply share the post and comment with a screenshot of your business using SmartBots and one winner will be randomly picked! 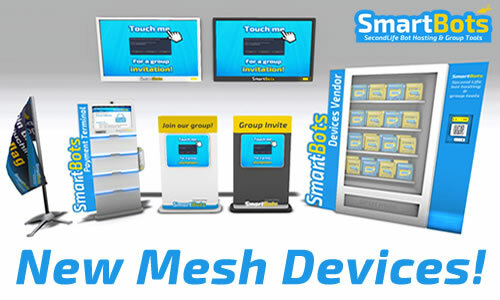 Take a sceenshot of your company in-world with one of SmartBots devices visible (see here). Visit our Facebook page and click the ‘Like’ button. Find the most recent raffle post. Share it and comment with your screenshot. We suggest to include your business SLURL, this works as a promo for you too. One winner is being picked each week on a Friday. To be entered for the raffle, the comment must follow the guidelines. The prize is being added to the winner’s SmartBots Wallet. If you have any questions, contact GTASkinCentral Resident in-world! You can obtain any of these by clicking on our device container at our in-world store. We have a new Google+ account and hurry, there’s a coupon for 50% off on all club bots! If you haven’t figured it out yet we have a new coupon system aimed at giving you discounts in our bot store. From now on all coupons will be posted at either our Twitter page or our Google+ page, or you can check out Facebook page for both! Make sure you follow, subscribe and like us so you wont miss out!